The physical therapists at the Atlanta Back Clinic will explain the findings from your evaluation. Our goal is to make your visit to our clinic a positive and pleasant experience. You will find our office staff to be helpful, courteous and professional. If you have any questions regarding appointments or insurance matters, feel free to ask one of our office personnel. Rich received a Bachelor of Arts in Biology from Gettysburg College in 1972. In 1975, he graduated with a Bachelor of Science in Physical Therapy from SUNY at Downstate Medical Center. 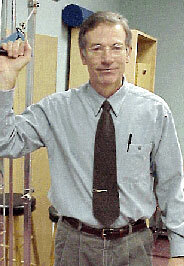 He earned a Masters of Medical Science in Physical Therapy in 1985 from Emory University. The American Physical Therapy Association awarded him Board Certification in Orthopaedic Physical Therapy in 1994, and he was recertified in 2004. In 2006, he became a fellow member in the American Academy of OrthopaedicManual Physical Therapy. Rich obtained a Doctorate in Physical Therapy from the University of St. Augustine in 2010. 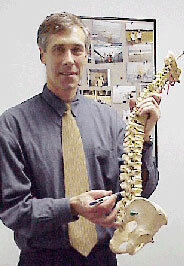 Rich has worked at the Atlanta Back Clinic since 1977. He is also a part time instructor in the Doctorate Program within the Division of Physical Therapy at Emory University as well as an instructor in the Clinical Education Program for the University of St. Augustine for Health Sciences. He has a special interest in spinal biomechanics, motor control mechanisms and manual therapy. Roger has been part of the Atlanta Back Clinic staff since 1997. He graduated in 1980 from the Ohio State University with a B.S. in psychology and in 1990 from the University of Alabama at Birmingham with an M.S. in physical therapy. Roger was certified in Hellerwork Structural Integration in Seattle, Washington in 1994. Hellerwork is a wholistic approach using deep connective tissue work, movement re-education, and body psychology to help improve posture, improve movement and ease pain. Deborah is a graduate of the University of Texas Medical Branch at Galveston’ School of Physical Therapy and has been on staff at the Atlanta Back Clinic since 1999. Her work experience ranges from pediatric to geriatric, and from acute orthopedic to longer term rehabilitation. Post-graduate studies include certification in the Feldenkrais Method®, obtained from the Reese Movement Institute in 1996. Deb’s particular interest and focus is on the dynamic systems approach to posture and movement re-education. She enjoys assisting individuals and groups in the process of increasing their awareness of "neuromuscular habits" that can contribute to pain, injury, and inefficient function. The Atlanta Back Clinic is thrilled to announce that Matt Underwood, PT, DPT, OCS, will be joining our team as a full time physical therapist. Matt was born and raised in Atlanta and is excited to be working in the Tucker area. Matt has actually been a member of the Atlanta Back Clinic community since his childhood, when his family members were treated for various musculoskeletal problems. Watching the Atlanta Back Clinic physical therapists treat his family members helped to influence Matt to become a physical therapist. Matt earned his Doctorate of Physical Therapy degree from Georgia State University (GSU) and this past year, he was awarded the Outstanding Alumnus Award for his volunteer work with the Physical Therapy Department at GSU. Matt is also a Mercer University School of Physical Therapy Orthopedic Residency Graduate and a Board Certified Orthopedic Specialist. One of Matt’s areas of special interest is the science of pain. Pain science examines the biological processes involved with the perception of pain and it can help patients understand the mechanisms behind their specific pain presentations When applied clinically, it may help to improve a patients’ quality of life and function, especially when related to chronic pain states. 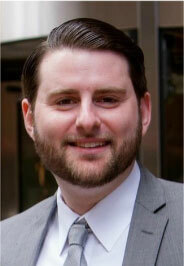 In addition, Matt lectures at Brenau University, GSU, and Mercer University on various pain science topics. If you or someone you know would like to schedule an appointment with Matt, please give us a call (770) 491-6004 and we’ll be happy to get you an appointment as quickly as possible.